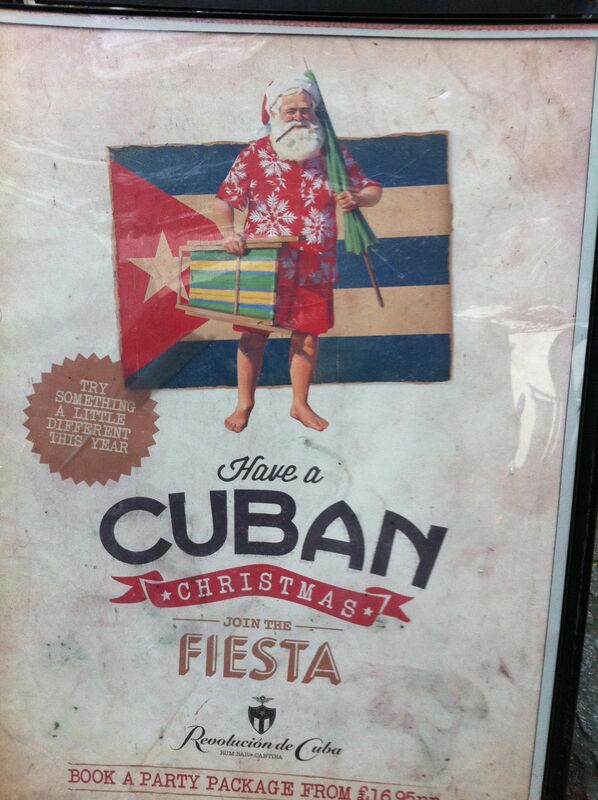 I was walking past this bar, called Revolución de Cuba in Central Cardiff (but seriously), when I spotted this sandwich board on the pavement advertising the venue with a picture of Santa Claus, which on close inspection bore a striking relationship to Ernest Hemingway. The only difference being that rather than bearing the gloomy, withdrawn, rather terrified features of Hemingway’s last couple of years on earth, this guy is looking really cheery. Like Santa Claus, in fact. Except that he’s Hemingway. Maybe. I wonder how many of the winners of the annual Ernest Hemingway look-alike contest, held in Key West, Florida, actually resemble Father Christmas as much as, if not more than the man who in 1936 battered Wallace Stevens (a man twenty years his senior) to the ground in the rain in that same resort. Stevens, incidentally, did not look remotely like Santa Claus. Which raises an interesting proposition: rather than have a look-alike contest, wouldn’t it not be more interesting to have an Ernest Hemingway/Santa Claus look-unalike contest? 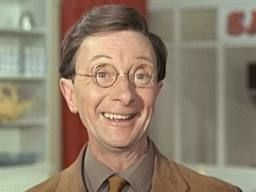 Sticking to males only (for the sake of simplicity) I would nominate Charles Hawtrey. 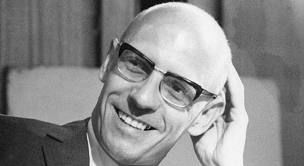 Or Michel Foucault, neither of whom look remotely like the Hemingway/Santa Claus amalgam. I would like to propose Vladimir Putin, Wilko Johnson and Karl Lagerfeld to participate in the contest. Putin, hands down! Thank you Jorge.